Remember Bill Carlson? Truly Inspirational! I met Bill Carlson many years ago at one of the early IDAA conferences (IDAA: International Diabetes Athletes Association, started by Paula Harper in Arizona in the 1990’s). I was in awe and I was surrounded by other amazing super athletes. I, of course, was not ever an elite athlete! But we all had Type 1 diabetes in common. Bill Carlson Returns to the Ironman World Championship in Kona, by Blair Ryan for A Sweet Life, 6 October 2016, details the career of this T1 legend. 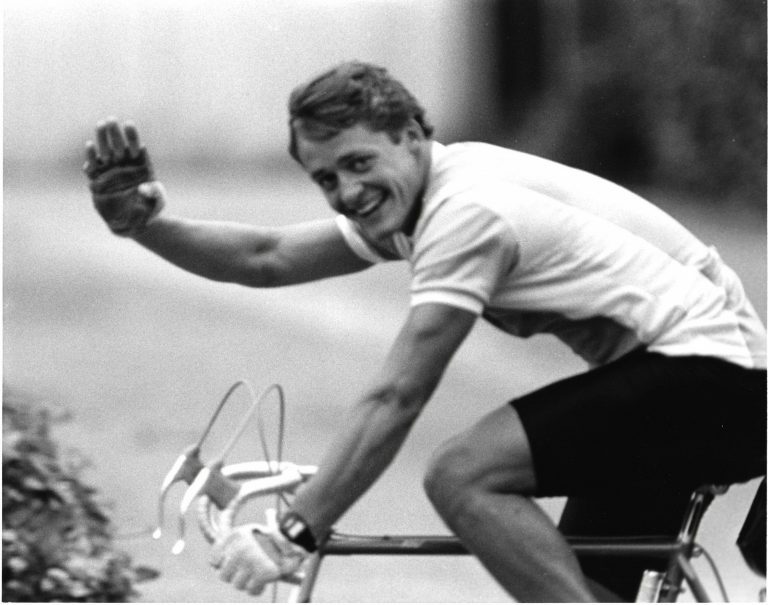 In 1983, Bill Carlson made history when he became the world’s first person with Type 1 diabetes to complete the Hawaiian Ironman Triathlon World Championship. In an age when people using insulin were discouraged from doing strenuous exercise, Bill was one of a thousand World Championship competitors to swim 2.4 miles, bike 112 miles, and run a full marathon. He did it in thirteen hours, twenty minutes–45 minutes of that time was spent on medical checks. To people with diabetes everywhere, Bill Carlson was immortalized as a pioneer. He used the world’s stage to show us that there’s no type of exercise a person with diabetes shouldn’t do, as long as they’re willing to control their condition. And he’s making a come back in Kona, at the age of 55, being cheered on by his 19 year old son, Clayton (also a T1) and his wife Suzanne who is battling Hodgkins Lymphoma.